American Thanksgiving Without Turkey? Still Delicious! Thanksgiving marks a time of year where many of us come together to feast, be merry, and reflect on what we’re thankful for. 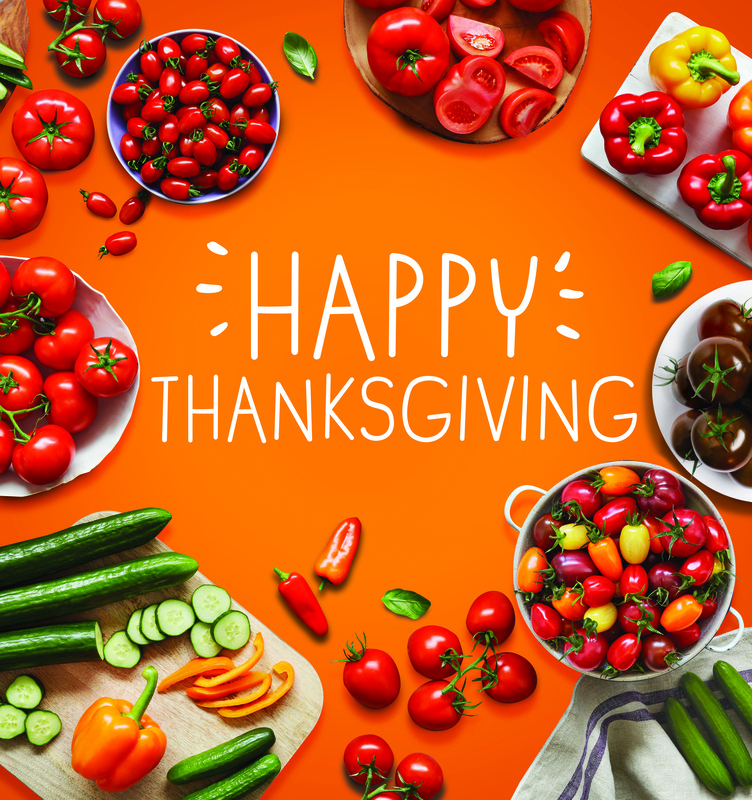 Whether you gather around a fancy dining table with your family or a thrift store coffee table with your closest friends, one thing we all do is savor the time we have with the people we care about, and of course, savor the delicious dishes that are so synonymous with this food-filled holiday! But what if you don’t like turkey? What if creamy mashed potatoes, savory stuffing (or dressing, depending where you live), sweet-potato casserole and cranberry sauce aren’t your thing? What if you just don’t have the time to spend an entire day in the kitchen but you still want to serve your guests an unforgettable meal? 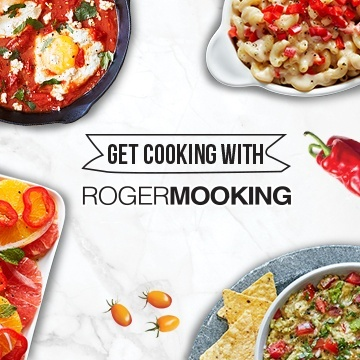 Happily, our Culinary Director Roger Mooking has provided us with a classic recipe that’s sure to make this your easiest and most flavorful American Thanksgiving ever! 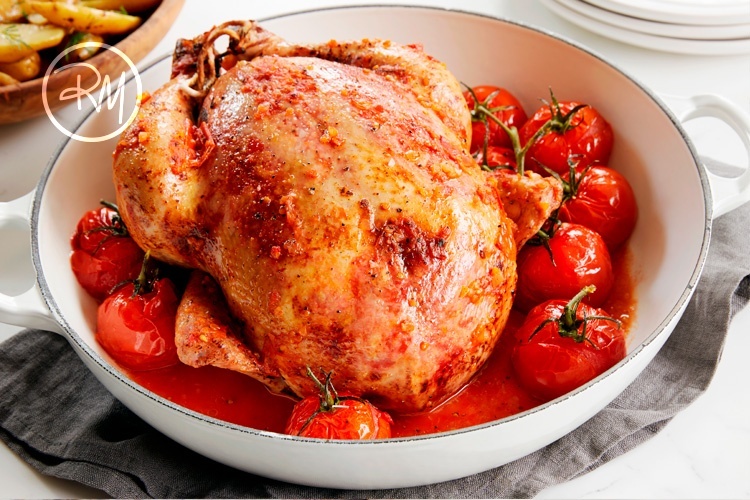 His Campari Roasted Chicken is perfect for smaller gatherings, people who don’t love turkey and anyone else seeking an alternative to the traditional Thanksgiving Day meal. You can also increase the measure of ingredients and cook time for a bigger bird. This, complemented with your favorite side dishes, will hopefully make for a feast your best buds and your taste buds will long remember! Do you have favorite holiday dishes or memories you’d like to share with us? Let us know in the comments or tag us on Facebook, Instagram or Twitter and you might end up in our social media feeds! 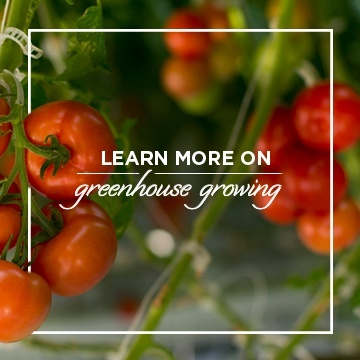 Place 1 lb of tomatoes on a parchment lined baking sheet and roast for approximately 15 minutes or until softened and bursting. Remove from oven and allow the tomatoes to cool completely. Once cooled, crush tomatoes with your hands and place in a medium bowl. Strain and reserve liquid for basting. Add onions and butter to the crushed tomatoes and combine. Season with salt and pepper to taste then stuff the paste under the skin of the chicken, add the remaining mixture to the cavity of the chicken rubbing all over the insides of the carcass. Season chicken skin with salt and pepper and place in large shallow roasting pan. Bake for 10-15 minutes then lower the temperature to 350 F and continue to cook for another hour. Baste with reserved tomato juice as required. With last 10 minutes of cooking time remaining, add whole tomatoes to the tray, surrounding the chicken. Once cooked, allow to rest 20 minutes before serving.